Like reading my words on a screen? You'll like reading them even more on the page! 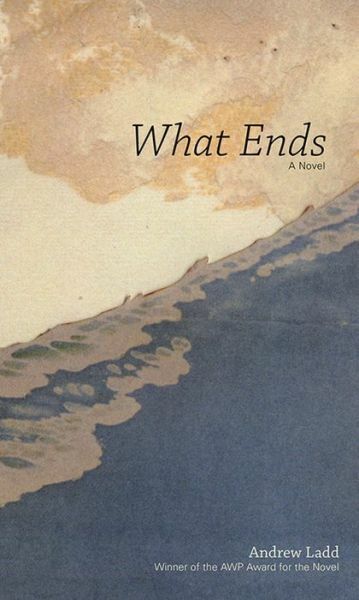 My first novel, What Ends, the winner of the 2012 AWP Prize in the Novel and a semifinalist in the 2012 Amazon.com Breakthrough Novel Award, is now available in its U.S. edition (New Issues Press, January 2014) on Barnes & Noble, Books-a-Million, Amazon, and IndieBound. The U.K. edition will be available August 2014 from Oneworld. You can also see me reading from the book at The Casserole, an online reading series hosted by Chelsea Kurnick. In 1980 the McCloud family welcomes Trevor, their third child and the last to be born on Eilean Fìor, a small island off the west coast of Scotland. Life there, on the eve of Trevor’s birth, is grim: the population, once in the hundreds, now hovers around thirty; his parents stubbornly maintain the family business, a guesthouse, despite their increasing trouble turning a profit; and a plague of rats threatens to wipe out the island’s last remaining hopes. Against this backdrop, and through a series of interlocking narratives spanning from Trevor’s birth to the present day, What Ends follows each of the McClouds as they navigate their ever-more fragile lives. And if you really still want more information, why not visit my Amazon author page?